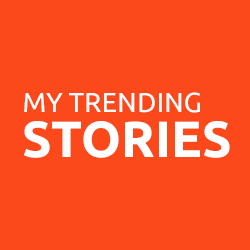 You can now find Woman on the Ledge on a great new site called My Trending Stories. Recently, I have become a contributor to a highly humorous blog called, Life Explained run by a terrific guy by the name of Tim Clark. If you need a few laughs, this blog is the place to visit! I have had the pleasure to do a guest post, Life Lessons from Maggie, on an absolutely fabulous blog called Learning from Dogs. If you have a canine best buddy, stop by the site for informative and just plain fun posts! In the past I have also contributed to a wonderful UK website, Pretty Normal Me! Founder Emily Clarkson has created a safe, fun, and nurturing environment where individuality and differences are celebrated. Everyone is welcome. Tired of negative attitudes, bullying and body shaming? Need a pep talk or just a really good laugh? Then check out this awesome site. Funny and informative it is definitely worth a look. While you’re visiting PNM, don’t forget to read my article WTF I’m 50?! I have also had the honor of contributing to a new blog site devoted to promoting self confidence. “Not a Porcelain Doll” is a place where no one will judge you, will listen to what you have to say, and will encourage you to become the person you were meant to be.